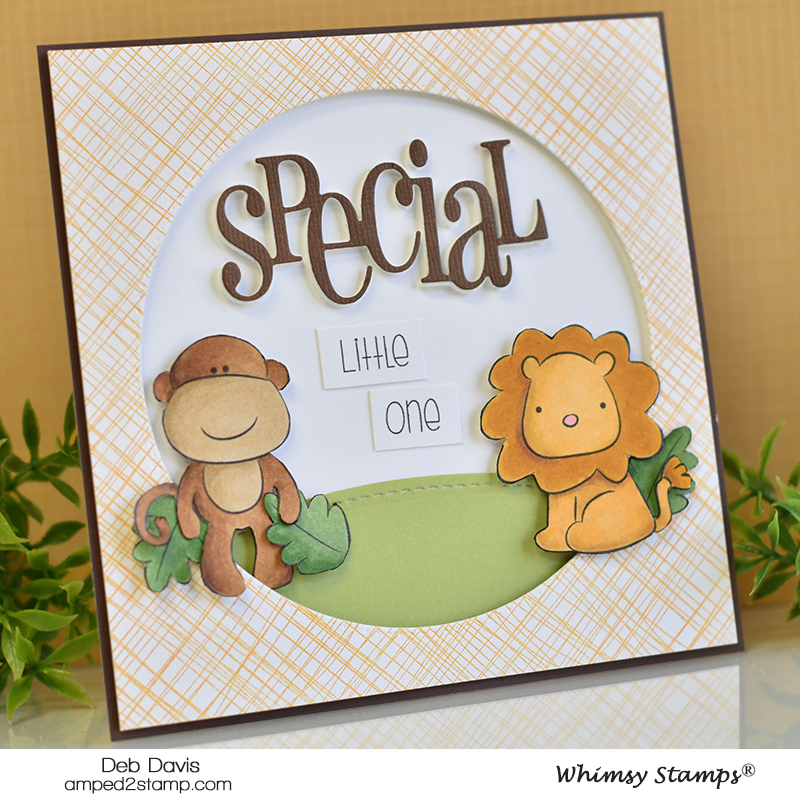 I have a baby card to share with you today using the cute NEW Jungle Babies clear stamp set. 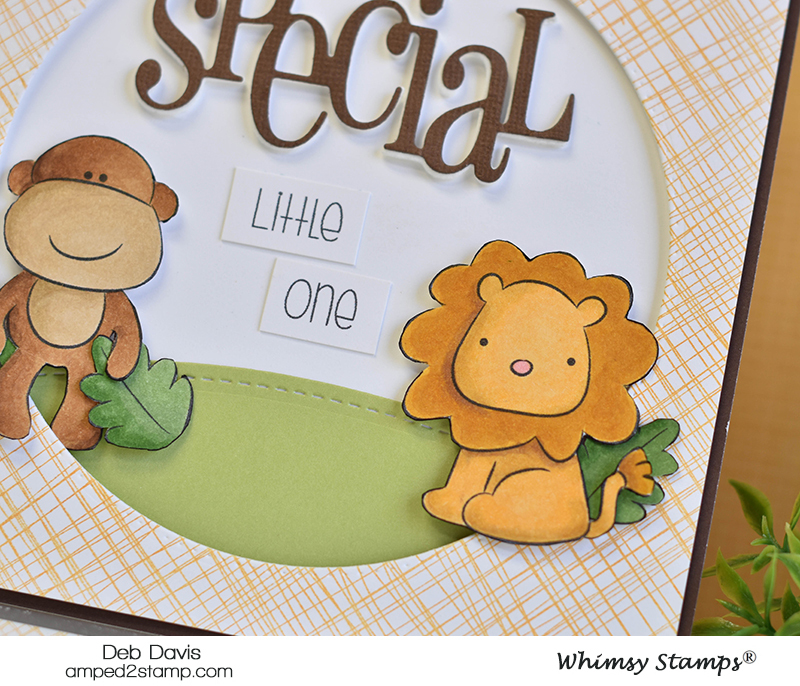 I stamped the little monkey and a couple of leaves and colored them with Copic markers, then hand cut them out. I used the Messy Mesh background (love this background stamp) and stamped it with a golden yellow ink onto white card stock. Then used the Pierced and Stitched Circles die set to cut out the large circle opening. 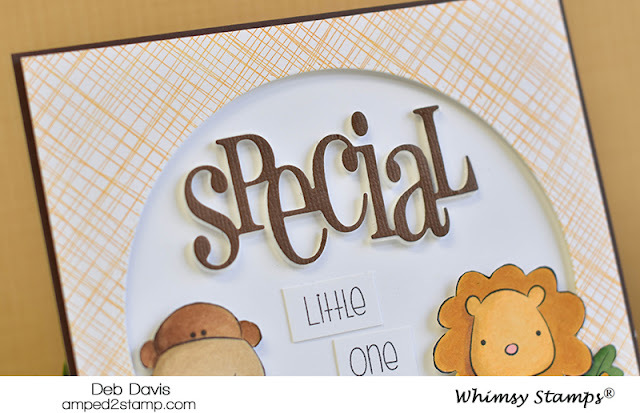 To give the Special Large Word die dimension I first cut it out from white foam, then cut it out again in a brown cardstock and glued it on top of the foam. You can achieve this same look by layering 2-3 pieces of white cardstock instead of the foam but the foam is a little quicker and has it's own cool effect. 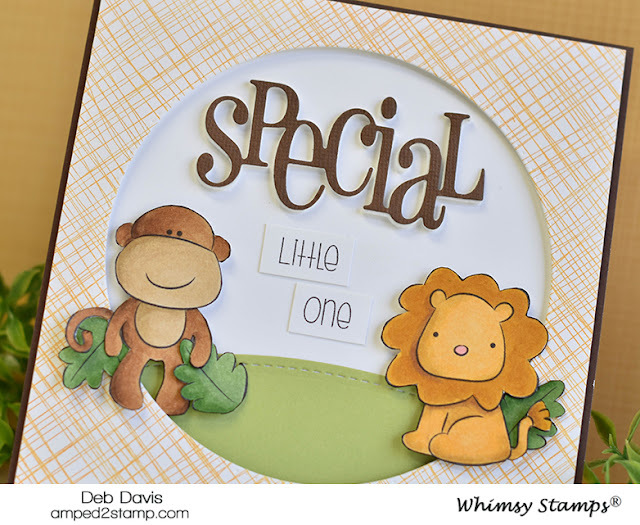 To complete my Jungle Babies card I stamped the "little one" sentiment and hand cut the words individually then popped the circle opening up with foam tape and mounted everything onto a brown 5.5x5.5 card base.